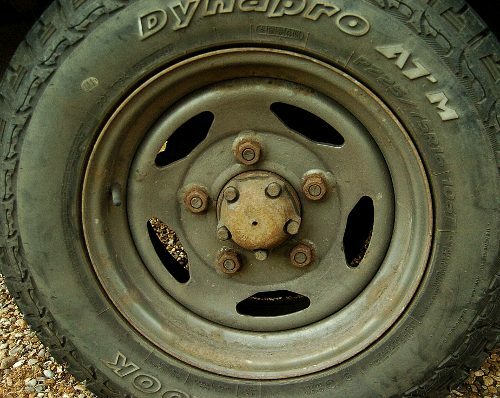 Despite sharing the same 5-stud pattern, there's a few incompatibilities with fitting wheels from pre-1994 Land Rovers onto other pre-1994 Land Rovers. At Rusty Rhinos HQ, we've learned a few of them the hard way, and so I'm sharing this for the benefit of all owners of Land Rovers. Note that I am only covering vehicles made up to 1994. After over four and a half decades of making workhorses, Land Rover broke with their roots and made the built-for-Glazewing "Range Rover" 38A, which was so bad that it infected other Land Rovers and turned them into even worse, even more unserviceable crap like the L322 "Range Rover", Freelander and Disco 3. I could add columns for later vehicles, but I won't, because they broke with wheel compatibility for those vehicles; if it helps, just imagine that there's an extra column for your vehicle reading "NO". These are made by a zillion different manufacturers but all of them should, again, fit everything. 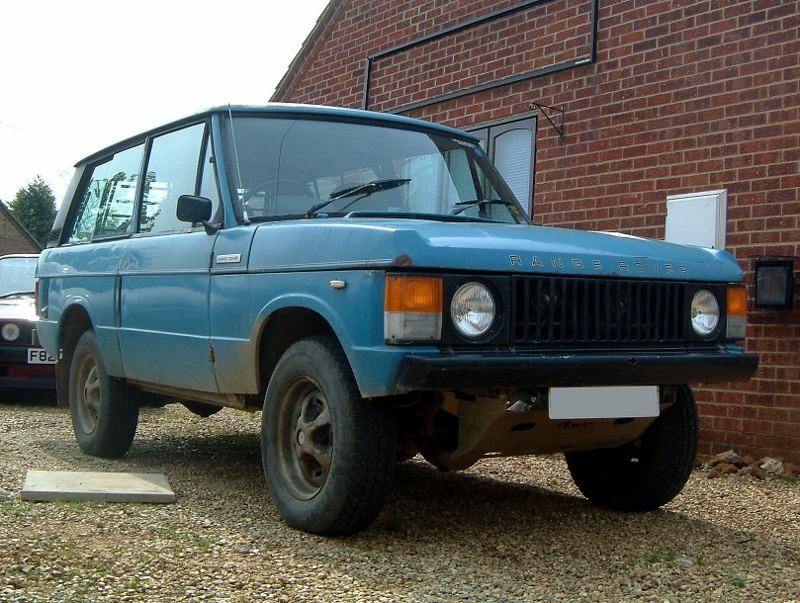 I've not found the exact cut-off year here, but I do know that three-spoke wheels from a 1986 Range Rover will not fit on the particular 1979 Range Rover I tried. Oddly, I've seen older Range Rovers fitted with three-spoke alloys. It can't hurt to try if you're getting them for free, which you often can. 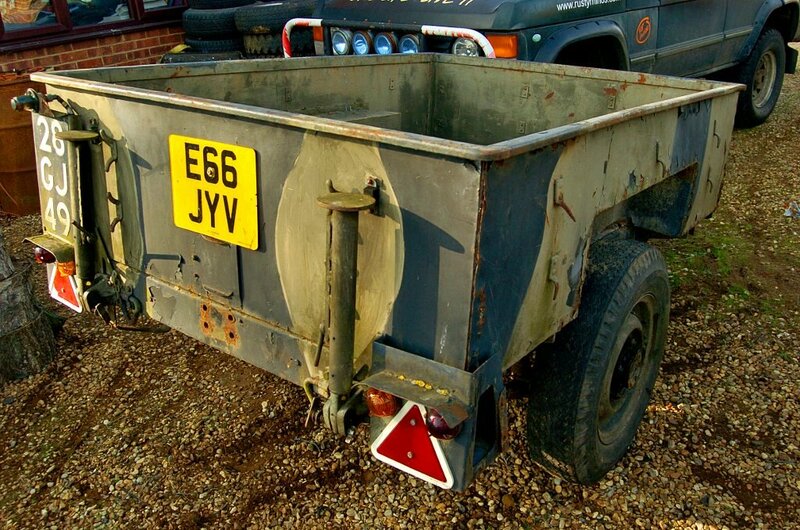 Sankey is the common name of a design of trailer which is the standard general-purpose trailer for Land Rover vehicles. They also use the same five-stud pattern as Land Rovers, but Range Rover wheels and Discovery alloys will not fit. We own two of these trailers. 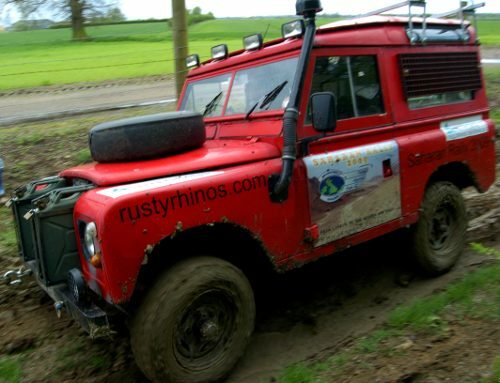 Not only do they run on standard Land Rover Series rims, standard-sized Land Rover tyres will also work just great. Our Sankey wide-track actually works better running on 205/70/R16s coupled behind our Range Rover, because it sits slightly lower than it would on standard Sankey tyres. These are, for all intents and purposes, identical (though hardened Land Rover buffs will be able to spot the difference -- hi, Maurice!). Most of the things here are extrapolation; I only know for sure that they will fit late Range Rovers and (of course) Discos. These are made by all sorts of people, but all the ones I have seen fit every Land Rover (and Sankeys, too). The same thing applies to the common modular (or modular-look) steelies. These ones from Paddock work just fine; we've got them running on a 1987 Range Rover, a 1963 Series IIA and a Sankey wide-track. What about the 101 Forward Control? The 101 Forward Control is not mentioned in the chart, because it is totally incompatible with all other Land Rover wheels; it uses a six-stud pattern rather than a 5-stud pattern. 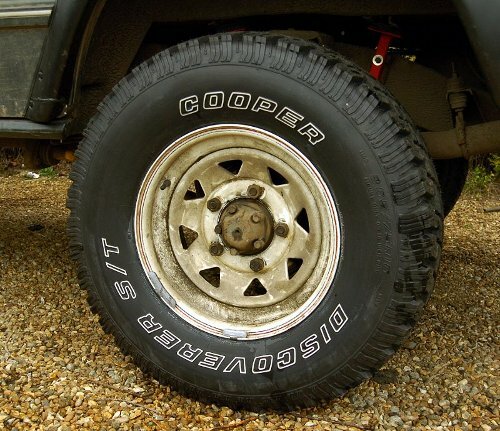 Sadly, just as with all 101 FC parts (which is the reason I don't already own one), aftermarket wheels typically sell for three or more times the price of five-stud Land Rover ones. Sorry!